Forget about the pills, lotions and scalpels… What if I told you that the real secret to anti-aging and wellness is right inside your body? The Medical, Pharmaceutical and Cosmetic Industries Already Know What You Are About To Discover Right Now. They Just Can't Afford To Tell You About It. Listen. When you sell products and services in trillion dollar industries, you have an obligation to your employees and shareholders to do whatever you can legally do to promote sales and earn a profit. We all know that. And it makes sense, right? It's just business, after all. Hey there, I'm a long-time Holistic Health and Wellness Coach who hails from Whangarei, New Zealand. My goal: to change the paradigm of health care from sickness care to wellness care by showing people how to live longer, healthier lives. Essential to that effort is to help others avoid the many mistaken beliefs and practices that diminish health and longevity. So why do some people find it so hard to believe that these very same industries might be holding back valuable information that may be able to keep you young longer, and fight many of the terrible diseases that threaten each one of us? Doctors prescribe medicines that are made by the pharmaceutical companies. They have a very close working relationship with the pharmaceutical sales rep. In fact, in the United States, it isn't unusual for sales reps to have lunch catered for a doctor's entire office staff every time the rep stops by for a visit. I wouldn't be surprised if the same things go on in other countries as well. When both parties are making money, there is little incentive for doctors or the pharmacy companies to change their game plan. "I can prescribe these pills. They cost $400 per month and may damage your kidney and liver plus cause diarrhea and bloating. Also, you shouldn't take them when driving or operating equipment. OR you can do what noted holistic health and wellness coach Carolyn Hansen recommends to her clients." Of course, it is very unlikely your doctor would ever say that. But what if it did happen? Would you be curious? Would you be interested in trading potential kidney and liver damage, diarrhea, bloating and a host of other complications and side effects for a natural way to trigger your body's anti-aging and healing powers? You don't have to wait for your doctor to ask, you should be asking yourself that very question right now. Do you want to trade away the risks and dangers of prescription drugs for access to the safe and natural healing power currently laying dormant inside your body? If you didn't answer "Yes", I understand why. There are far too many quacks out there that try to sell you the strangest things to supposedly slow the aging process and restore your good health. So, when you hear me say that I am offering you the key to activating the body's own anti-aging and wellness processes, it's only natural to be skeptical. I get it. My name is Carolyn Hansen. I am a noted Holistic Health and Wellness Coach. Unlike so many "health gurus", I do not hide behind the Internet. I own and operate an Anytime Fitness Gym in my hometown of Whangarei, New Zealand. I have worked hard to gain a reputation as an authority on health, exercise and weight loss matters. I am the author of several thousand health and fitness articles along with eBooks and programs. I spend most of my days meeting with my club members to help them identify their health problems. Then, together, we map out a health and fitness routine specifically tailored to achieve the results they are looking for. I show them how to slow down the aging process to a crawl instead of fending off the freight train that's roaring towards them at an amazing speed. People see me every day. They know I live what I teach. I want you to follow my lead, because I am living proof that what I am doing works. It will work for you too. As humans, we actually have two different ages. One is the chronological age that increases every time our birthday rolls around. The second age is the age that our bodies feel like. And, depending upon how you are treating your body, the "feels like" age can be higher or lower than your chronological age. We hear all the time about people living to high double and even triple digit ages. Mostly, these are people who one day woke up and decided they didn't want to feel like their actual age. The wanted to trigger their body's internal "fountain of youth" and turn back the hands of time, at least as far as the body's aging process goes. You can trigger your body's anti-aging and wellness process too, IF you know what I know. What side of The Danger Zone are you on? What danger zone? If you haven't reached age 30 yet, you are in the "low" danger zone. With just a normal amount of exercise, and a reasonable healthy diet, your body will usually maintain its natural level of health and fitness. Your muscle tone will continue to develop and, barring anything unusual happening, you'll be in what is called "good health". But after age 30, things start to go downhill. The body begins the process of physical deterioration. The muscles start to degenerate, skin elasticity lessens and wrinkles begin. Our eyesight begins to fade and even our hearing begins to be less effective. Organs start to become less effective at what they do. In short, the dreaded aging process begins. But the process is so slow that we don't really notice any big changes, just a lot of little ones that we attribute to "getting older." No matter which side of the danger zone you are on, it's not too late to reverse the aging process. You just need to decide that having your body deteriorate, and you health falter, is NOT in your future. Work with me and I can help you make each birthday just another date on the calendar. But before I tell you HOW we can do this I'd like to spend just a moment longer reminding you about exactly WHY this is so important. But before I tell you how I can help you fortify your body so that it is well-prepared to defend against the threat of potentially life-endangering disease, allow me to share with you a true story about why this should matter so much to you. Early death today is all too frequent, tragic, and often entirely avoidable. After a colleague of mine read my book about the power of self-healing he was moved enough to relate to me his story. It is just one of many tragic instances that have been endured by so many millions of people over the years. None of whom deserved their fate. I watched this colleague "grow up", from a strapping young lad to a formidable, career-driven man who loved his wife and was crazy about his two kids. As a successful chartered accountant with the highest honors, his life was the epitome of the successful career man, married with children. He enjoyed a life the average guy would envy and many would kill for. But something was missing from his life. Something that was a constant source of regret for his otherwise "perfect" life. At the young age of 23 he lost his mother to cancer. He constantly thought about his mother. How she had missed his wedding to his beautiful wife. He felt sad that she never had the chance to meet her grandchildren or watch them grow up. I sense my friend's pain, feel it almost every time we meet, and if there is one thing I can do for you today, it is this – I can help you avoid a similar hardship. No one should have to experience the pain of losing a loved one early in life. No one deserves the burden of cancer – not even the most hardened criminal offender. The trick lies in not waiting until you are forced to take action. Because by then it is generally too late in the day to do anything but accept what fate has brought your way. As a fitness professional, with more than 30 years of experience, I realized recently that I was in the perfect position to teach the best approach to fostering superior health available today. I am talking about the kind of health that makes it possible to live the FULL extent of your natural life, without having to worry about those unnatural influences in our world that are responsible today for so much misery and death. So I set about to create a system that would allow me to share these teachings with as many people as possible. You will find the results of my efforts lower on this page in the form of a product I call Activate The Self Healing Process Within You. This is a program that teaches you how to regain the level of superior health that every single one of us SHOULD be able to enjoy based on the idea that millions of years of biology has been devoted to ensuring that very thing! Having to resort to drugs, medicine or miracles is a sign that somewhere along the way we took a wrong step, and now it is time to take a step back and figure out how to take advantage of the natural self-healing mechanisms that evolutionary biology has provided us with. In fact, most of us know already that the best approach to maintaining this kind of superior health is one that is going to involve maintaining a healthy body weight throughout life, eating a healthy diet, and having sufficient physical activity in our lives. Most people know this already, but they fail to implement it in any way that will actually pay off in the long term. They know the dangers associated with poor health, the destructive effects of a poor nutrition and lack of exercise, and yet here we are with the highest incidence rates of obesity, coronary diseases, and cancer the world has ever seen, and the numbers continue to climb each decade. Most people know the dangers of allowing their health to slide, but they simply do nothing to avert an impending catastrophy in their lives. I don't want that for you. This is why my goal with Activate The Self Healing Process Within You is to help align your mind, body, and soul in such a way that motivation to take care of yourself and your loved ones is no longer an issue. You will simply do what needs to be done to ensure the best possible level of good health. According to the World Cancer Research Fund and the American Institute For Cancer Research, cancer is not a disease that strikes just anyone. When we look at who does and who does not tend to get cancer it is very clear that the groups with the lowest incidence of disease are the ones that have decided to take some from of action to ensure high levels of health. This suggests that we all have tremendous control in the way our medical lives will play out - and that to benefit fully from this knowledge, we too should take action - and the sooner the better. We have the power to control what we eat, how much exercise we get, how we deal with stress (which is believed to be a major factor in controlling cancer cell proliferation), how much quality sleep we get, and how to live a lifestyle that encourages superior health rather than disease. When you follow the philosophy outlined in Activate The Self Healing Process Within You your body have a much better chance of benefiting from the kind of healthy immune system that is able to recognize cancer cells and take the appropriate action long before they have the opportunity to mutate into something dangerous. This is, after all, part of the normal operation of a fully functional immune system. Listen. You already know that you cannot buy back your health. No amount of money can return your body to its healthy state once cancer or another dehibilitating disease strikes. This is why MAINTAINING superior health should be the number one strategy when it comes to preparing your body to deal with the threat of all types of chronic and life-threatening diseases. So my question to you now is simply this: Are you ready to tap into the power of your self-healing processes so as to MAXIMIZE your level of health? For the first time ever, you will learn the best techniques for preparing your body to defend itself against disease no matter how insidious the threat. All made possible by following these 100-percent totally natural strategies, devoid of any form of drug, chemical intervention, or life restricting techniques. As you go through these course materials, I promise you that the information here, when implemented as suggested, will be life changing and you will enjoy greater health like never before. That's because I am 100 percent confident that your body has the potential, the power, to slow down the aging process and restore itself to a level of wellness that it may no longer be experiencing. The book is simply the "instruction manual" for making it all happen. The truth is, if you lived in my town, and were a member of my health club, you wouldn't need this program. That's because, like I said earlier, I practice what I teach. I live the healthy lifestyle you need to live if you want beat back the aging beast and engage your body's wellness engine. My club members know that and they are happy to follow my lead. But you don't live in my town, and you are not a member of my club, and you may never meet me personally. So, it is very important that you get your copy of Activate The Self Healing Process Within You so you can start up your anti-aging and wellness motor. The Definitive Guide "Activate The Self Healing Process Within You"
This is the most important component in the entire course. In this book, you will discover how you can revamp your body's vital defenses against disease and fine-tune your understanding of all things disease related without requiring a PHD in medical science or surgery. The Benefits Of Exercise Versus The Inconvenience Of Disease (Page 9) – Learn how you can build your life around an easy to follow program that will eliminate the inconvenience of disease and pursue a routine of exercise you can enjoy and prolong your life with. The Benefits Of Leaving A Legacy Of Health (Page 10) – Learn how your health habits not only affect your life but can impact your family's life for years even after you are gone. Why your choice today can change many lives. Why Our Disease Fighting Immune System Breaks Down (Page 17) – Your immune system is the front line of defense against everything from the common cold all the way to dreaded fatal illnesses. Learn why this system breaks down and what you can put in place to prevent that. Finding The Motivation To Change (Page 27) – We all have the intention of being healthy and changing the way we live our lives. However, sometimes we don't understand the reasons that we don't follow through. Learn how to change your mind to change your health. The Benefits Of Adjusting Your Attitude (Page 35) – There is growing evidence that deeper positive attitudes such as gratitude and optimism lead to improved ability to fight disease and to a longer survival time for people who are already battling life-threatening illnesses. Learn what you need to do to take advantage of this. It Is Vital To Effectively Cope With Stress (Page 43) – Stress is a large contributor to illness. Learn the best ways to identify and cope with stress in your life to lessen the burden on your body. Grab Yourself Some DIY Stem Cell Therapy (Page 48) – Stem cells are unspecialized cells that are 'capable of renewing themselves through cell division.' They are the repair experts of the human body, standing by and ready to renew, repair and replace old, worn-out or damaged cells and tissues. Learn how to get your own stem cells working. What You Need To Know About Cancer And Diet (Page 50) – Diet has a huge impact on health and wellness. Learn in-depth information on what your diet means to your health and how to use it to your advantage. A Simple Strategy To Help You Live The Longest Possible Quality Life (Page 57) – Learn easy ways that you can get started today revitalizing your immune system and getting your body on the road to better health. Fight Premature Aging And Defend Against Disease (Page 70) – Learn about antioxidants and free radicals and what they mean to your health. As well, learn natural "free" ways you can better your overall health and reap the benefits of the "ultimate antioxidant". Sickness Care versus Wellness Self-care (Page 79) – While it is desirable to eliminate symptoms when they appear, in most cases it is way more important to treat the cause. Learn the difference and how to change your mindset and habits. A True Blueprint For Better Health (Page 86) – Learn good ways to begin outlining a healthy lifestyle that can truly lessen the influence of illnesses and disease in your life and keep you in optimal health. This series from Dr. Patrick K. Porter (PhD) is designed to go hand in hand with my book and further helps to secure your understanding of what it takes to maximize your disease-fighting abilities and attain the greatest possible level of health. By working closely with brainwave entrainment leader Dr. Patrick K. Porter (PhD), I have been able to come up with a series of relaxation exercises to help the listener take these powerful life-changing health principles to a deeper lever. Each session guides the listener though a series of healthy brain exercises using Dr. Porter's exclusive NeuroSensory Algorithms™ (NSA) for advanced brainwave entrainment. As you sit back, listen and learn the stresses of your life slowly melt away as you focus on each of the empowering principles. During this mental exercise Dr. Porter will help you build the mental inoculation you need to stay optimistic and in control of your life. Learning how to put negative news and the negative programming from the world into perspective so that you can focus on health is the first step in fortifying your body to disease threats. Thoughts are powerful tools that can heal or harm. Today you are building the tools that heal. Sit back relax and absorb the positive message of health, harmony and beauty that will help you create the brain states of vibrant health. Your lifestyle habits that dictate your health and wellness tomorrow begin today. Each of us has 86,400 seconds to utilize each day and we can't afford the luxury of a negative thought. Carolyn teaches us that our physical activity levels and healthy eating will determine whether we are climbing a mountain at 70 or living 'half a life' with some awful disease. Dr. Patrick Porter, using the tools of Neuro-Linguistic Programming (NLP), will train you to turn procrastination into healthy life supporting motivation to exercise and eat well. Many of people think that it is all a matter of "Lady Luck" - something that we have no control over but Carolyn assures us that there are things we can do to help protect ourselves so we can stop almost all of the worrying. It is of some comfort to know that, for example, if our genes only play a 5 percent role in our cancer risk that means the majority of the risk (at least 80 percent) is due to factors that we have some control over. During this brainwave entrainment session Dr. Porter will be showing you why you get what you rehearse in life not always what you intend. You will learn to dream the lifestyles of a life unburdened by the threat of possible disease. Today you will learn to flick the switch and make few simple lifestyle changes to turn things around from stress to health. During this session, you will learn why professionals are seeking the power of the mind to restore and its full potential rather than being restricted by poor health based on past behavior. Each tip will train your brain to eliminate the beliefs that create cancer in the first place. During this empowering session, you will integrate a very important component to health locking in the mind-body connection. Dr. Porter will help you understand how your thoughts and feelings influence your body through the nervous system and the circulatory system. With each session, the NeuroSensory Algorithms will have your mind and body responding to the healthy thinking, feelings, and how to act. You will rehearse how to tune in and listening to everything you say to yourself. We are trained by parents, teachers and friends and family members how to act. But rarely have we been trained how to think. During this session, Dr. Porter will help you think about the core concepts of "Activate The Self Healing Process Within You" in a powerful new way. This program will teach you how to transform stress into healthy life energy. Just as important as being in uptime and taking action is developing the mind tools for downtime and recharging your body. Today is the day you sit back relax and let the latest brain wave technology melt away a lifetime of stress. You will awaken refreshed, recharged and revitalized! Scientists are discovering that every thought, emotion, and experience influences the immune system's ability to function. Dr. Porter is going to train you to super-charge your immune system using time-tested visualizations that will strengthen your mind and body. You will learn how to cancel the negative thoughts that society seems to thrive on and master the power of positive thinking and acting that will inoculate you against social fears. Wake up with a fresh positive perspective and ready to live every minute at the highest level of health. People don't plan on failing, they fail to plan. 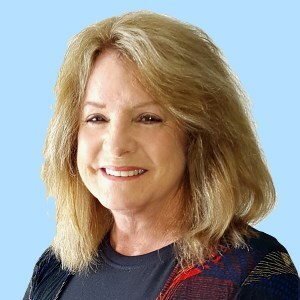 Carolyn has laid out a plan for successful living and during this brain wave entrainment session Dr. Porter will help you rehearse and place these success strategies on the time-line of your life so they happen as naturally as your breathing. Imagine awakening each morning knowing with certainty that you are taking the steps to lower the chances of disease taking a foothold in your body. What if you were to think about health in the same way you think about money? Carolyn points out how health is like a bank account, and with almost everything you do; you are either making deposits or withdrawals, affecting your bottom line. During this session Dr. Patrick Porter will help you to understand why you get what you rehearse is not always what you intend. We are all given 86,400 seconds everyday during this session you will plan, program and produce results through this exercise. Turning procrastination into motivation will be your buzzword each morning as you awaken with a new excitement about life. It Is Imperative That You Get This Information! One of the main reasons why I put this course together is because I'm deeply passionate about saving lives. The possibility of a life-threatening disease is NOT something you should take lightly. The last thing you want is to be in the position where you are scrambling to find information to avoid what might be coming when some dreaded disease is already at your door. It is often too late by that time. Definitely not worth the mental anguish and painful trauma you and your loved ones will go through. If you are diagnosed with cancer or any other form of chronic life-threatening disease now, there's no reason why you should not get this course right away. If you are not yet the recipient of this kind of bad news, now is the best time for you to fortify yourself against such threats. Arm yourself to the teeth. Training for fitness should be about more than the end result of looking great in the mirror. Sure, there is nothing wrong with both feeling and looking like a million bucks. But there is more to life than appearances! By training for functional fitness you ensure that all the gains you make in the gym apply outside it too. That means more round-the-clock strength, vitality, and endurance for day-to-day activities so that you are motivated to maintain your levels of fitness for the rest of your life. In this volume you'll learn how to do this with fitness-optimized workouts and suggested meal plans to maximize your gains outside of the gym. I have discovered that there is a way to eat that does not involve starving yourself in any sense, but which nonetheless leads to long term weight loss, or even weight gain if your goal is to add lean muscle mass to your frame. That is my goal for you and I have not the least doubt that you will reach it if you give me the few short hours it will take you to read this book and digest the ideas. It's Your Life - But What Is It Worth? How much are the lives of your loved ones worth? Is any of it worth gambling over? Are you prepared to risk having to pray for second chances or would you prefer to safeguard against a negative outcome all together? Take a moment and consider the fact that this is YOUR LIFE we are talking about. My advice? Don't even let a fraction of doubt steer you away from getting this information right now. "What is the cost of NOT learning how to marshal the power of my self-healing process so as to maximize my chances of successfully defending against chronic diseases so that I can enjoy a healthier life?" And that is why I have put together this material and made it available to those who are looking for answers and are ready to change their life. And now the time has come for me to put this powerful material into the hands of as many people worldwide as possible - to help save lives. That's Right - Get Started Now For Only $37! This is information that you have to have and that others have benefited from. No-nonsense and hard-hitting is the style of "Activate The Self Healing Process Within You" and that is what sets this series apart from anything else I've ever seen on the subject of dealing with chronic disease - something that others routinely tip toe around! While many tread too lightly and avoid facing the true reality of having to deal with a potentially devastating disease, Carolyn has laid it all out in easy to absorb, factual material that incorporates not only the physical aspects of lifestyle habits for health and wellness, but also the highly critical concepts of positive attitude, gratitude and optimism. This series is truly a life-impacting journey! All disease and especially cancer is a physical manifestation of internal conditions within the body, mind, and spirit. Carolyn Hansen's book "Activate The Self Healing Process Within You" is an extraordinary tool to support everyone to live a long and healthy life. I highly recommend it! The threat of a chronic disease is something that scares us all, but Carolyn has managed to write a book which allays that fear and shows us a way defend against it to the best of our ability. I loved the section explaining the differences between sickness care and wellness self-care. This is not just a book about managing and defending against life-threatening disease states, it's an all-round 'keep yourself healthy' book, which will help you for the rest of your life. I have been following Carolyn's work over the past couple of years. I am so impressed with her passion in helping others reach their full potential. I have to say when I read "Activate The Self Healing Process Within You" I thought now here is a book anyone who wishes to defend themselves from the diseases of the modern world needs to read and then apply the health strategies she has laid out. I believe that she has found the missing link to revitalizing the self-healing properties of the human body. If you need a time-tested guide to creating superior health you have found it in Carolyn's book. If you have a loved one who has a chronic disease or is in recovery this is a must read. From the first chapter to the last she has packed this book with insightful tips. Thank you Carolyn for your time and effort and helping so many people to create health by transforming fear into personal power! I have lost some very important people to cancer; I was thrilled to see that you had included the importance of mindset. When we finally open our eyes to see how interconnected mindset, beliefs, emotions and health are, we become empowered – completely empowered. If just one person reading this book obtains significant health benefits from following a healthier lifestyle, then it has done its job. We all have family members that could live longer and better lives if they would change their eating and lifestyle habits. Carolyn's lifetime of work in promoting healthier lifestyles is to be commended. She continues to amaze me! I have known Carolyn as her health advisor for about ten years. She continues to amaze me with her understanding of wellness and her never ending quest to be continuously striving to be "better". It is this passion to excel that has won her body building competitions in the past. Her enthusiasm to achieve peak health for herself and others around her compels her to take this message of "health and wellness" with this book to a wider audience. Cancer is a dreadful disease which brings a premature end to many lives. Leading a proactive, "healthy lifestyle" can minimise the risk of cancer as well as other diseases of modern times like obesity, diabetes and heart disease. The pursuit of health has many components and in this book Carolyn details the importance of the lifestyle choices we make and their impact on our "wellness profile". There is no substitute for good nutrition with our diets. Movement and exercise is an integral part of fitness and minimising disease. There are several positive research studies now linking the role of exercise with disease prevention. Getting rid of addictions like smoking, alcohol, negative emotions and having strategies to dissipate stress and build resilience are the other key components in this equation. We are now armed with the knowledge of the human genome and the impact to environmental influences in our genes. For the first time we are now able to understand the power of making "good choices" to modulate our gene pool positively towards a healthy and disease free life. This book translates all this information in an easy to read manner that can be assimilated in our lives - making our lives healthier and meaningful for ourselves, our family and the community. I wish Carolyn all the success in her mission to make a "meaningful difference" to people's lives with this book. But I want YOU to get started immediately, in the comfort of your own home, and I have faith that you will be able to live a healthier life and take steps today to reduce your odds of contracting a life-threatening form of cancer. I'm Going To Remove All The Risk For Your Investment Because I Value Your Life! And here's why: If there is one thing I have learned after publishing thousands of articles and books, it's that people are skeptical. And why shouldn't you be? You have been let down by promises before. So, just to make sure there is NOTHING stopping you from living the healthy, youthful lifestyle you are dreaming of, I'm offering this No Questions Asked 100% 60 Day Money-Back Guarantee. That's right. If Activate The Self Healing Process Within You is everything I said it is; if it isn't everything you HOPED it is, just let me know within 60 days and I'll give you back every penny of the money you paid. And you can keep all of the FREE gifts I included. Your body need not age rapidly when operating in peak health - a process over which you have significant control. Your body may be able to self-restore a level of wellness you have not experienced for some time now. You don't need drugs of any kind to activate the inherent repair mechanisms that nature has bestowed upon you. Everything you need to achieve your wellness and fitness dreams can be found inside Activate The Self Healing Process Within You. Buy it now for just $37. Be safe with my 100% No Questions Asked 100% 60 Day Money-Back Guarantee. Go ahead. Download your copy of Activate The Self Healing Process Within You right now for just $37. Then get busy slowing down the aging process and restoring your body's wellness to levels you haven't seen in a long time. You can do it. Don't put it off. Download your copy of Activate The Self Healing Process Within You right now. YES - Carolyn, I'm READY to transform my life today! I understand I'll be instantly downloading the entire Activate The Self Healing Process Within You course, and all of the "Bonuses" you've assembled for me for only $97.00, $37.00 today, and today only. INSTANT ACCESS right now -- Even if it's 3.00 A.M.! I hope that by now, you will know everything you need to know to make a wise decision about how to activate and benefit from the self-healing processes that each and every one of use possess. Secure your copy now before it is too late! So don't hesitate to begin changing your life now by grabbing your copy. P.S. Remember: Your body wants to be healthy. You can slow down the aging process and improve your health. All you need is a "user's manual" to show you how. My new eBook Activate The Self Healing Process Within You is that manual. There is no reason not to give yourself the gift of good health. Download your copy right now for just $37. P.P.S. This is YOUR LIFE and the lives of your loved ones we are talking about. Is it worth it to risk dealing with the horrors of chronic disease simply because you failed to fully harness the self-healing power of your body to defend against disease? P.P.P.S. You are protected by my 60 Day Money Back Guarantee.